People around the world have treasured pearls for thousands of years. The “Queen of Jewels” (as it is sometimes referred to as) possesses a timeless quality that has continued to captivate people from the time it was first discovered until today. Despite the jewel’s longstanding popularity, there are myriad pearl facts that many people don’t know about. Here, we explore 16 facts about pearls that explain a part of the reason why they are so special. Despite being classified as a gemstone, pearls differ significantly from all others (including sapphires, rubies, emeralds, etc.) due to the fact that they are the only gems to come from a living creature. All other gemstones form in the Earth’s crust as magma cools under high pressure. Here is a statistic worth considering: less than 1 in every 10,000 wild oysters contain pearls. As the popularity of these gems continued to grow in the early part of the 20th century, the population of occurring oyster beds in the ocean’s waters became severely depleted from overfishing. Despite the rise of cultured pearls, the population of wild oysters still hasn’t completely recovered. Given that, it’s understandable why people consider natural pearls one of the rarest jewels on the planet. Kokichi Mikimoto is credited as the first man to create a cultured (or cultivated) pearl. In 1878, he began to methodically test ways to develop these gemstones in his own oyster beds. After nearly two decades of trial-and-error, he succeeded and received a patent for cultured pearls in 1896. This significantly impacted the pearl industry. 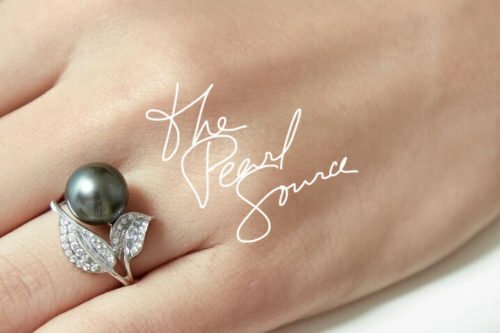 Not only did Mikimoto’s discovery help fulfill the global demand for pearls in a more sustainable way, but it also put a dent in the natural pearl market. That’s due to the fact that people began to opt for these less expensive, more round pearls. Mikomoto was quoted saying that his dream was to “adorn the necks of all women around the world with pearls.” Many today would argue that he accomplished his goal. When Kokichi Mikimoto created the first cultured pearl, it marked the beginning of a trend that would change the pearl industry forever. Today, nearly all of these jewels on the market are cultured, largely because almost all natural pearls have already been harvested. Even at a farm where they are cared for and protected, not all of the mollusks produce a pearl. Even then, not all of the pearls are of high enough quality to make it to the market. Le Peregrina (which means “the incomparable” in Spanish) is a pear-shaped pearl the size of a small egg. It is often regarded as one of the world’s most famous and historical pearls, and not only due to its unique shape and size. The history of this gem spans nearly 550 years. This jewel has been in the hands of different royal families including Queen Mary and Napoleon Bonaparte. More recently, the pearl had been given to famed British-American actress Elizabeth Taylor as a Valentine’s Day Gift. Taylor then commissioned Cartier to re-design the necklace, resetting it with rubies, diamonds, and additional pearls. In 2011, the necklace was sold for a whopping $11 million at a Christie’s auction in New York. On the subject of Cartier, the French design powerhouse is also connected to pearls in another interesting way. When the wife of a railroad magnate fell in love with one of Cartier’s pearl necklaces, Pierre Cartier made her an extraordinary offer. He would give her the natural pearl necklace (valued at $1 million) plus $100 in exchange for her Italian-Renaissance inspired home on New York City’s Fifth Avenue. She agreed, and the rest is history. Cartier transformed the mansion into one of the world’s most luxurious retail experiences. Today, Cartier’s Fifth Avenue Mansion is the company’s largest store in the world. The world’s most expensive pearl was kept under the bed as a good luck charm for ten years before officials unearthed it in 2016 when the house it was in burned down. A fisherman discovered the pearl off the coast of the Philippines inside a giant clam. Why is this pearl valued at $100 million? 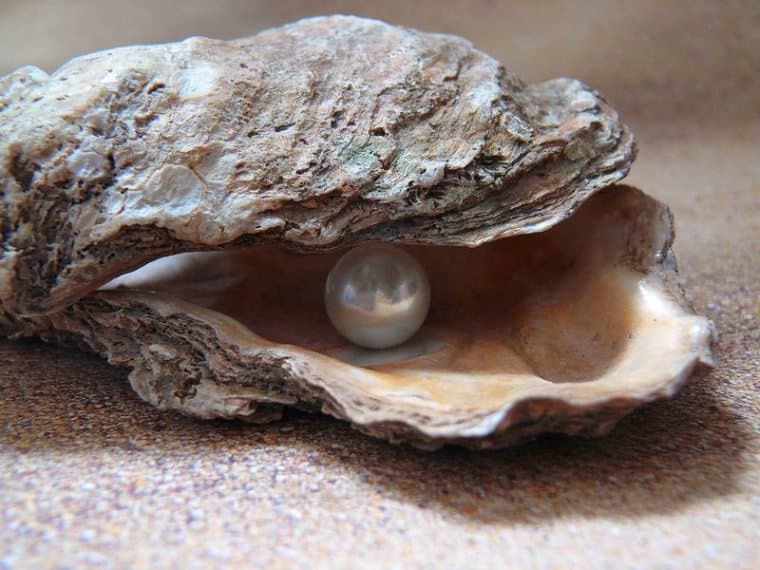 Measuring in at 26 inches long and weighing nearly 75 pounds, it is the largest pearl that is known to exist. 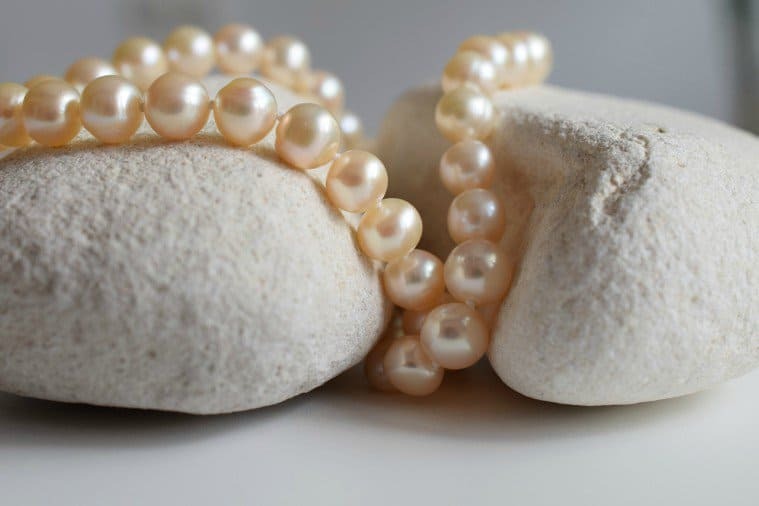 In ancient Roman times, pearls were believed to be a symbol of wealth and prestige. Possessing pearls meant you belonged to a certain social class. That explains why in 1BC, the famous Roman ruler Julius Caesar created a law that prohibited anyone below the ruling class to wear the fine jewels. According to a famous legend, Cleopatra wanted to prove to Mark Anthony that she could host the most expensive dinner in history. Cleopatra was known to have owned two of the world’s largest pearls at the time which she wore as earrings. She instructed her servants to bring her potent vinegar and then dropped one of the pearls into the vinegar, dissolving it. She continued to drink what can be dubbed as the world’s most expensive cocktail. Needless to say, the Queen of Egypt won the bet. While many may be surprised to learn about the significance of pearls in the Roman Empire, pearls were relevant even further back in history. In 2012, French researchers discovered what is believed to be the oldest pearl ever found. It was located in a gravesite in the United Arab Emirates and given the name of Umm al Quwain to represent the region of the country it was found in. 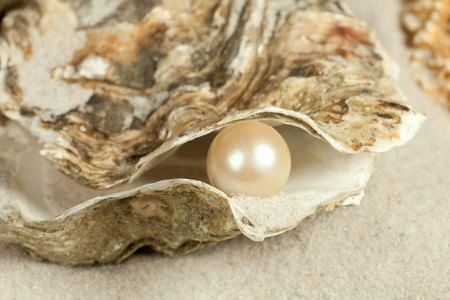 Scientists used carbon dating to determine that the pearl was over 7,500 years old. This beat the previous record-holder for oldest pearl by over 2,500 years. 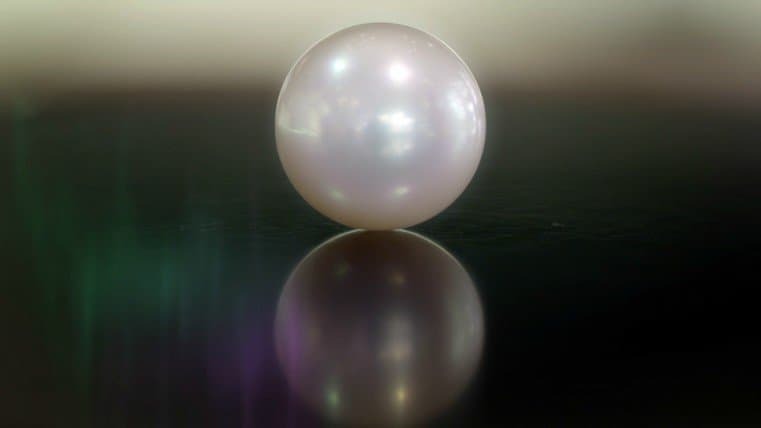 There are four main pearl types and they vary in terms of size, shape, color, and value. Freshwater pearls are mainly grown in rivers and lakes across China. They are the most widely available pearls and as a result, they are sold for an appealing price. Japanese Akoya pearls are a variety of saltwater pearls that are arguably best-known in the world. They are produced in Japanese and Chinese waters and feature spherical shapes with a beautiful luster. 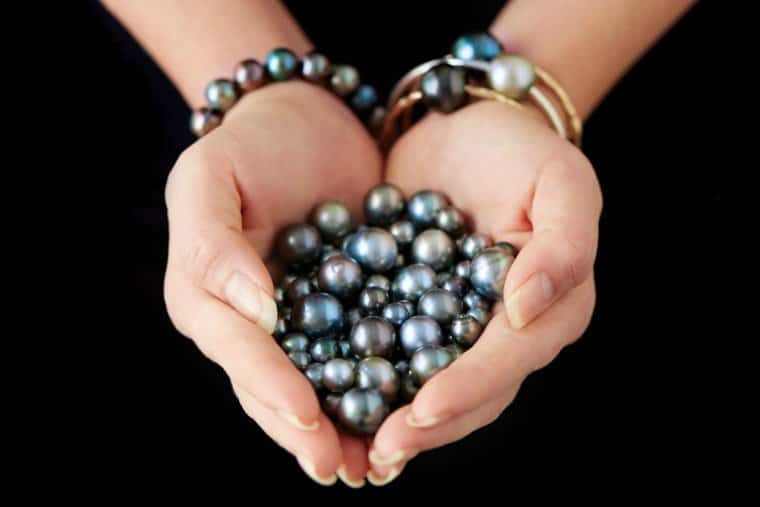 Tahitians pearls – another type of saltwater pearls cultivated in the islands of French Polynesia. Despite sometimes being referred to as black pearls, they also come in beautiful shades of grey, blue, green, and purple. South Sea pearls are the largest of all pearls and feature white, cream, and golden hues. They can be found in the waters of Australia and the Philippines. As the popularity of pearls has continued to grow, many different styles of pearl necklaces have emerged. As a result, people have developed a unique set of vocabulary specifically for the size of pearl necklaces. There are a variety of different terms for necklace lengths (from shortest to longest): Choker, Princess, Matinee, Opera, and Rope. We’ve already discussed how both Queen Mary and Cleopatra were pearl admirers. However, that is also the case with some of the most influential women in more recent history. First Ladies including Michelle Obama and Jackie Kennedy both regularly adorned themselves with lavish pearl jewelry while their husbands were in office. In England, Princess Diana was known to have been a huge fan of pearls. Finally, Coco Chanel was a pioneer of fashion and contributed towards making pearls popular as everyday jewelry. While people believe that all pearls are perfectly round and symmetrical, this is simply not true. They actually come in an array of different shapes. The most common include round, off-round, drop, and baroque. Round-shaped pearls are undoubtedly the most popular ones, but given different budgets and taste, others are admired too. Another fun pearl fact! Each type of pearl takes a certain amount of time to develop. In all cases, however, it takes at least six months to produce a pearl. Sometimes, the development process can last as long as 24 months. The procedure begins when a farmer delicately implants a tiny nucleus inside the mollusk. The growth of the pearl is influenced by how long it takes to recover from the implantation. Once this process is over and the mollusk is fully recovered, the pearl begins to grow as the mollusk covers the nucleus with layers of nacre. Chinese freshwater pearls can grow up to 5mm per year while Japanese Akoya pearls only up to 0.3mm. Those born in June aren’t just lucky because the month has three official birthstones, but more so because one of these gemstones is the pearl. According to the legend, the June birthstone is believed to symbolize purity, clarity, and loyalty. Given its symbolic meaning and captivating beauty, the pearls are an especially great gift for anyone born in this month. As you begin to dive deeper into the history and background of pearls, it becomes easier to realize exactly why they are so one-of-a-kind. The gemstone not only has a rich history that has been closely tied to many ancient cultures, but it continues to be one of the most popular jewels today.